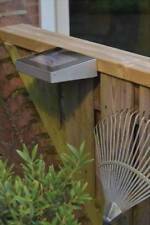 New Luxform Stainless Steel 'Mosaic' Solar Post Light 'LAZIO' Garden Lighting ! 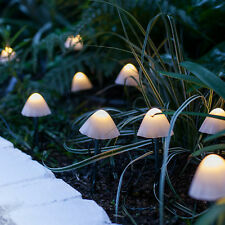 Get these lovely mushroom stakes and create an enchanting atmosphere to any outdoor space. Each soft, squidgy mushroom is 20cm tall and houses one warm white LED. Mushroom Size: 20cm (H) inc. stake. 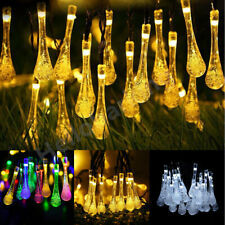 20 Garden Solar Lights. Super bright white LED. Auto sensor - turns on when dark. Complete with pole and separate spike. You will need to know theItem Number (12 digit) for all correspondence. The stake is so sharp that you must be careful when using it. And don't let children play with it. Solar Powered - Water Resistant. Colour: Warm White. Super bright LED for brighter light output. Lights turn on automatically when dark. Can be used as a table top or stake light. 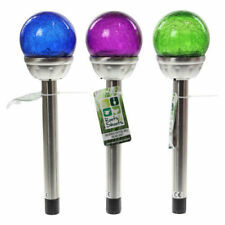 2PK 90 LEDs Starburst Stake Lights. The light is designed to work when ambience turns to dark. 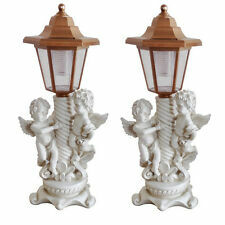 If there are light sources nearby than the lamp might be very dim or not work at all. The surface of the solar light must be kept clean, If not, this will influence the efficiency of charging. Add light to your garden with this beautiful solar table centrepiece by Auraglow. Automatically turns on at dusk and off at dawn, illuminates in cool white. Solid glass construction, fully weather resistant, suitable for use all year round! 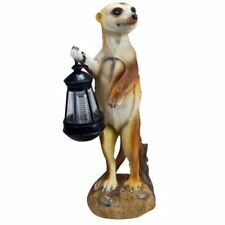 Add a touch of welcoming glow to your garden this season with our pendant solar light! Housing a warm white LED within the oversized bulb, this retro pendant light is perfect for porches and patios alike. Ultra Mordern Jumbo Wave Bollard. Solar powered silhouette daisy cow with colour changing or white LED. Smart Solar Silhouette Daisy Cow. When powered "on" these solar lights automatically switch on in the evening and off again in the morning when it gets light. LED light for brighter output. We will then advise you on resolving this issue, through repair where necessary. These are sold in a tray of 12. ( you will receive 12 LED crystal balls). 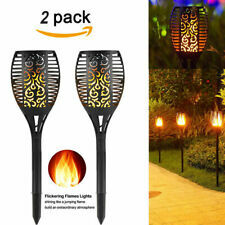 Striking Poppy garden light Ideal for paths & borders Great day or night Solar powered Set of 2. We upgraded 4LED to 6LED, now the lights are bright than before. It is far brighter than other similar lights on the market. IP64 protection, waterproof, and dust-proof, provides Longer Life in all weather conditions.